A multi-state federal lawsuit has been filed against Medical Informatics Engineering and NoMoreClipboard over the 2015 data breach that exposed the data of 3.9 million individuals. Indiana Attorney General Curtis Hill is leading the lawsuit and 11 other states are participating – Arizona, Arkansas, Florida, Iowa, Kansas, Kentucky, Louisiana, Minnesota, Nebraska, North Carolina and Wisconsin. 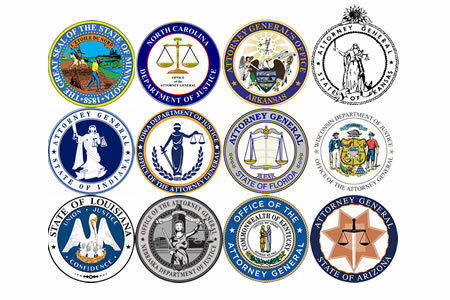 This is the first time that state attorneys general have joined forces in a federal lawsuit over a data breach caused by violations of the Health Insurance Portability and Accountability Act. The lawsuit seeks a financial judgement, civil penalties, and the adoption of a corrective action plan to address all compliance failures. The breach in question occurred between May 7 and May 26, 2015. Hackers were able to gain access to its WebChart electronic health record system and highly sensitive patient information – The exact types of data sought by identity thieves – Names, addresses, dates of birth, Social Security numbers, and health information. Medical Informatics Engineering had set two ‘tester’ accounts, one of which could be accessed with the username and password ‘tester’ and the other with the username and password ‘testing.’ Both accounts could be accessed remotely without the need for any further identification. The lawsuit alleges Medical Informatics Engineering was aware of the security issue as the accounts were identified as high risk by a third-party penetration testing firm, Digital Defense, in January 2015. Even though the accounts were high risk, Medical Informatics Engineering continued to use the accounts. The accounts were set up to enable one of its healthcare provider clients to login without having to use unique usernames and passwords. While those accounts did not have privileged access, they did allow the hackers to gain a foothold in the network. Through those accounts the attackers conducted an SQL injection attack, which allowed them to gain access to other accounts with administrative privileges that were used to exfiltrate data. No encryption had been used to protect stored data and no security system had been implemented to alert Medical Informatics Engineering about possible hacking attempts. Had such a system been implemented, it would have been easy to identify unauthorized access as two of the IP addresses used by the attackers originated in Germany. The lawsuit also alleges Medical Informatics Engineering had no documentation to confirm security awareness training had been provided to its employees prior to the data breach. In addition to violations of HIPAA Rules, the lawsuit alleges Medical Informatics Engineering violated several state statutes relating to the protection of personal information, unfair and deceptive practices, and data breach notifications.